Happy almost weekend!! Ok you have D to thank for that cheesy blog title. As summer comes into full swing (Hello summer Fridays! Welcome back my fave white jeans – you’ve been in the back of my closet way too long! ), the markets are full to the brim with some of my favorite summer produce. From brilliantly ruby cherries, to sweet yellow corn, to delicious watermelon, my local Whole Foods looks like a rainbow exploded all over it. And don’t even get me started on those tomatoes…I could wax poetic on heirloom tomatoes for days. So without any further ado, here goes with a list of my top picks for summer produce that will make your skin glow, keep you slim and make your tastebuds smile! Nothing says summer to me quite like a slice of a juicy watermelon. And in this heat it is insanely refreshing. 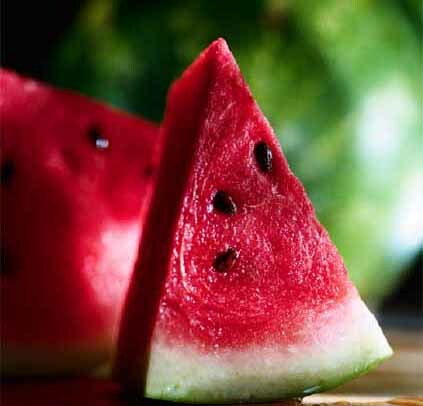 For me, eating the stuff inevitably draws up memories of day-camp and watermelon seed spitting contests. But this delicious fruit packs plenty of nutritional benefits for kids of all ages. While it is 92% water (hence the name!) it also vitamin C, vitamin A, lycopene and potassium. The first three are antioxidants that protect your eyes, hair, skin, and immune system, and potassium can help rebuild sore muscles among its many benefits. Try this new twist on watermelon (for 2 servings): Combine 2 cups of chopped seedless watermelon with 1/4 cup feta, 1/8 cup chopped red onion, 1 tbsp fresh lemon juice and a pinch of salt and some chopped basil leaves. Eat and enjoy! Maybe I really am a Southern gal deep down because my heart goes pitter patter at the site of corn on the cob. 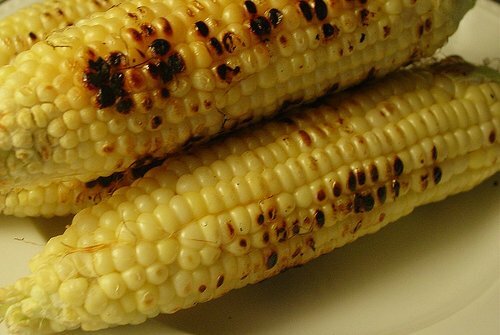 Growing up, my mom would serve the freshest corn on the cob as an appetizer straight of the grill (with a rub of butter, salt, and pepper). When corn is sweet and in season, there really is nothing more delicious. Corn provides a good dose of fiber, and is full of betacyptoxanthan, an antioxidant that guards against lung cancer. But what to do with all that leftover corn? Last summer, my sister and I discovered this delicious vegetarian recipe for corn pancakes (just swap out the white flour for white whole wheat which tastes the same as white but has all the benefits of wheat varieties). You can make them savory by adding a little greek yogurt and chives, or sweet by adding maple syrup. Either way they make a great light dinner or brunch – and you really taste the corn. 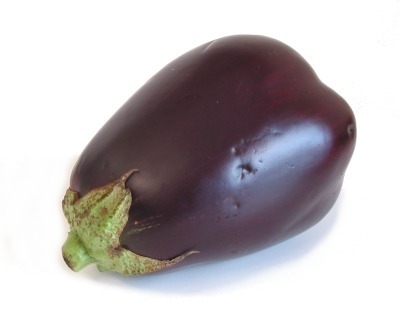 I used to be really daunted by trying to prepare and cook eggplant. I mean look at those things! They seem ridiculous. But once I finally bit the bullet, I discovered a whole array of delicious and healthy flavors at my fingertips. Eggplant is a great source of fiber and contains a compound called chlorogenic acid, which helps fight free radicals (nasty little chemicals floating around in your bloodstream) and can help lower LDL “bad” cholesterol. Eggplant tastes great straight from the grill, but try this asian twist on it: Make a marinade using 1 tbsp mirin (japanese sweet wine), 1 tbsp white miso paste, 1 tsp minced ginger, and 1/2 tsp dark sesame oil. Brush mixture over 2 small-to-medium eggplants that have been sliced to about 1/2 inch. Top with sesame seeds and broil these babies until golden brown. Voila – miso-broiled eggplant! 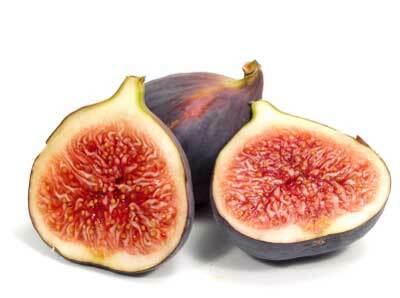 While dried figs are around throughout the year, once you’ve had a fresh fig, you’ll never go back. Figs are plentiful in potassium, which helps regulate blood pressure and are also a rich source of calcium, which promotes bone health. While figs are great straight up, I love to make a simple and delish desert by coating a pan with cooking spray, chopping 2 or 3 figs in half and sauteeing them for about 3-4 minutes on medium-high heat. Serve in a bowl with a dollop of greek yogurt and a drizzle of honey or agave nectar. Enjoy these tasty treats and try to stay cool in this ridiculous heat wave! thanks for the new ideas on these summer gems!